New Honda CRV will be launched in India on 9th October 2018. New Honda CR-V is scheduled for launch on October 9, 2018. HCIL showcased the SUV at 2018 Auto Expo, and at the time, confirmed its launch within the financial year. 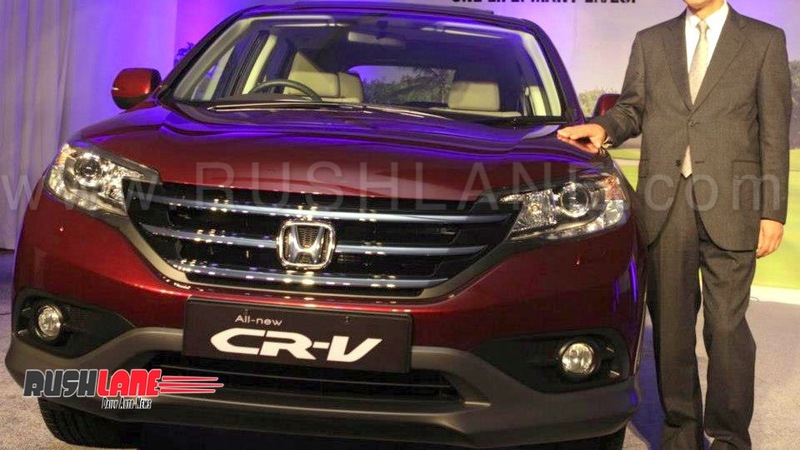 With launch now near, Honda dealers who have existing stocks of the CRV, are selling it at a discount of Rs 1.5 lakhs. The current Honda CRV is priced from Rs 24.8 lakhs for the 2.0 liter 2WD AT variant and Rs 27.1 lakhs for the 2.4 liter AWD option. Both options are powered by petrol engine. All prices are ex-showroom, Delhi. 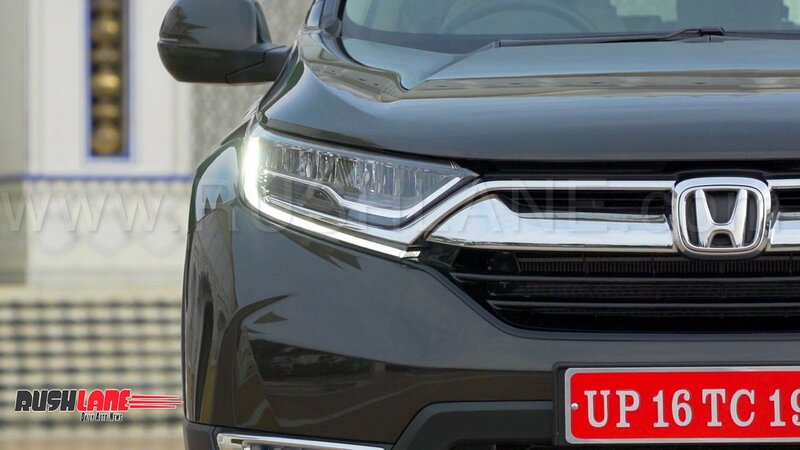 The current Honda CRV is offered in a 5 seater option, while the new one which will be launched in coming weeks, will be offered with 7 seater option as well. If you’re in the market for a 7 seater SUV, CR-V will be an option owing to its 3rd row seats. New gen Honda CR-V is also larger than the outgoing model. To be available in two engine options in India, CR-V will also be with a diesel engine. The 1.6-litre engine returns 120hp and 300Nm of torque. The diesel option is mated to a 9-speed AT, paddleshifters are offered as standard with AWD as an option. MT is not on offer. There is also a petrol motor on offer. This is in the form of a 2.0-litre petrol engine which is mated to a continuously variable transmission (CVT). This engine returns 154hp and 189Nm of torque and does not feature paddle-shifters or AWD. New Honda CR-V with its premium tag has in fact enjoyed great popularity in its segment but in today’s market, a lot will come down to price tag. As the Indian auto market takes baby steps to market maturity, buyers with an increased spending capacity are intact shopping around more. So, a 120hp engine with a premium price tag will be difficult to swallow. Of course, there’s no limit to buyer preference, and as seen in recent months, Skoda Kodiaq has in fact met with success.